The La Hacienda Cast Iron Mega Chimenea is just that, Mega! 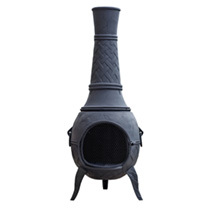 Standing at 205cm this is one of the largest chimeneas on the market, and can't help but make a statement in your garden. Made from cast iron, and finished in a heat resistant matt black paint, this chiminea comes with a lid, a grill base and 3 sturdy legs for stability. 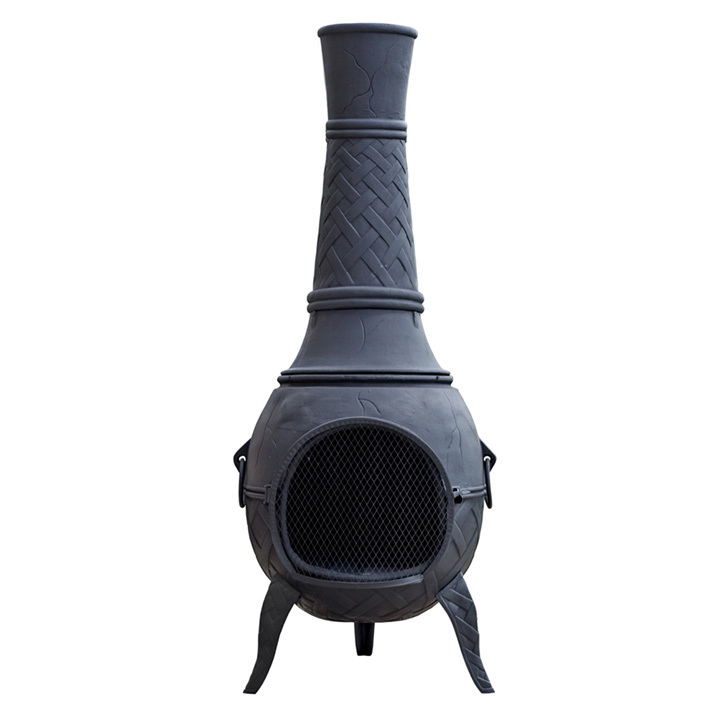 Designed with a weave pattern on the base and neck, and also incorporating blemishes to mimic natural clay, this chiminea will be the centre of attention at any gathering. With its large capacity, and ability to burn logs or charcoal, this really will keep the chill at bay when you are sitting out in an evening, enjoying a glass of wine with friends and family. As well as using this purely for heat, you can also remove the flue section, revealing a grill, which means you can also use this as a BBQ. Always ensure your chiminea is covered when not in use as the amount of rust depends on whether it is left outside in all weathers. The chiminea can be re-painted but rust will not affect its use. Height 205cm; diameter 76cm. Give your garden the wow factor with the Mega Chimenea. Made from durable heavy weight cast iron and weighing over 200kg. Quick and easy to use, place in your favourite spot on the patio, add logs to the body via the mouth, light a log fire and then seat yourself close by to enjoy the ambience and heat provided. This chimenea comes complete with a protective rain lid which helps minimise water damage to the chimenea. A metal tool is also provided to open and close the door when hot. 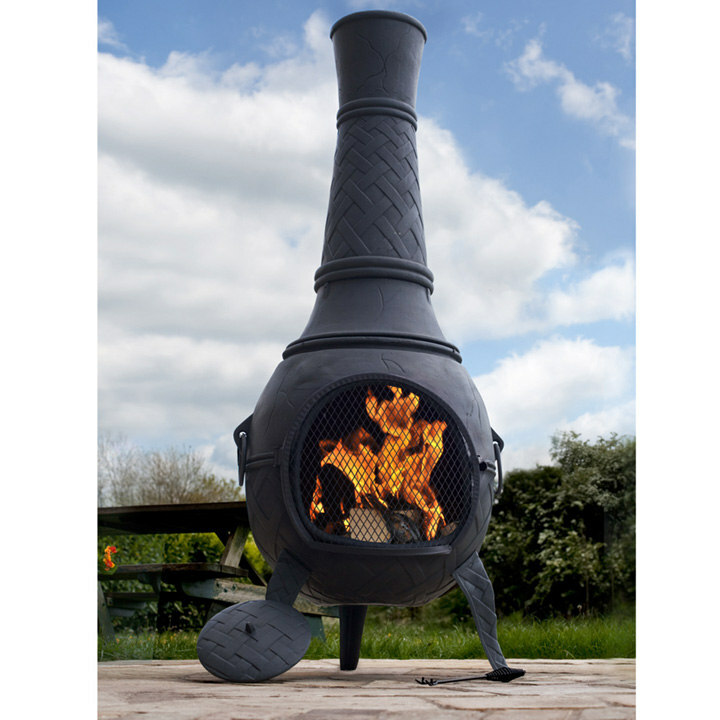 Add the Mega chimenea to your garden and make the most of summer evenings in the garden.